Fase Quattro/ Toni Crimine Split 7"
This is a split 7" by 2 Italian rock and roll bands. All 3 songs are sung in Italian. Fase Quattro is like old school 50's rock and roll, but with a bit more attitude and a cool harmonica and the vocalist has a cool voice. 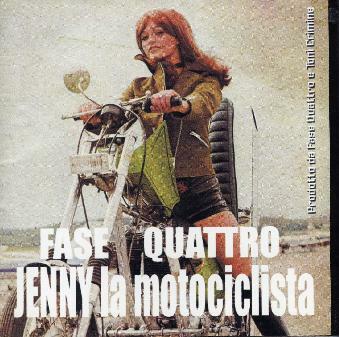 Their track is called Jenny la Motociclista! Toni Crimine is much more hard hitting punky rock and roll with two short tracks.